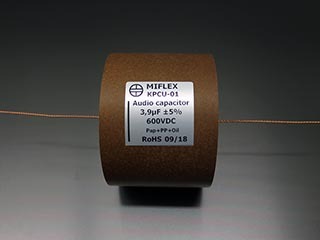 "Ultra Pure Ohno Continuous Cast"
The unidirectional UP-OCC has electric resistance and practically no crystal boundaries. Accordingly, it is able to transmit electrical signals faster, and with less distortion than ordinary OFC and silver wires. 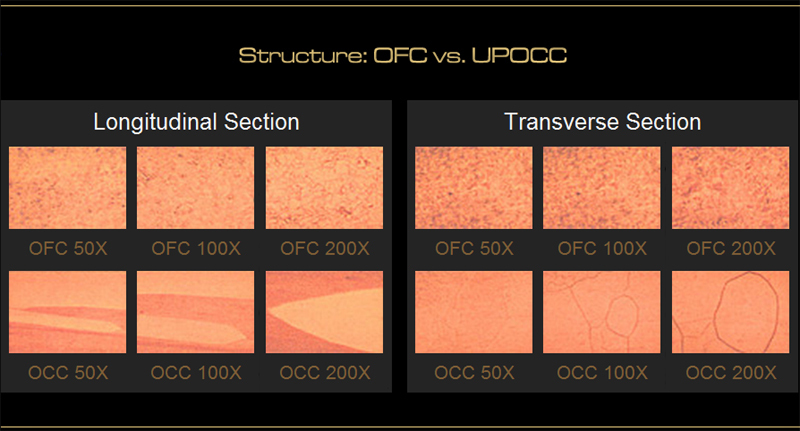 All of these features make the pure OCC copper and silver the state-of-the art conductor materials for the audiophile cable industry.